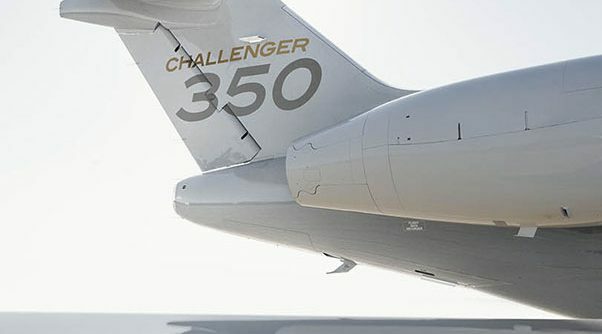 As one of the best-selling business jets on the market, Bombardier’s Challenger 350 is a super midsize jet that continues to pursue best-in-class performance and travel. Providing a smooth flight from beginning to end, the Challenger 350 is both reliable and luxurious. 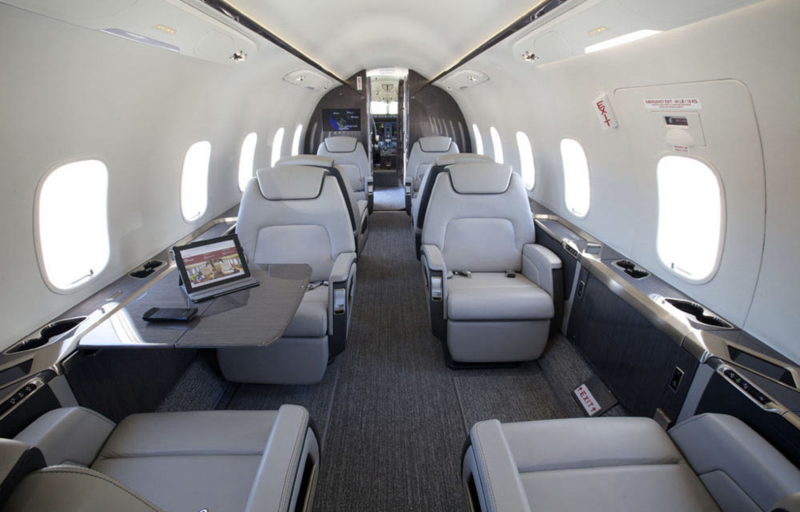 At six feet tall, over seven feet wide, and over 25 feet long, the Challenger 350’s cabin is spacious and serves all necessary amenities and more. A flat floor provides easy mobility for passengers and safe access to baggage compartments allow travelers to retrieve personal items at any time. Large hand crafted seats with 180-degree swivel technology and personal touch screen controls give passengers the ultimate comfort experience. Additionally, large windows provide plenty of natural light and sleek fold-out tables are perfect for working or dining. Seating up to 10 passengers, the Challenger 350 can fly 3,200 nautical miles seamlessly. Fly from New York to London or Paris to Dubai with full passenger capacity. At a top speed of Mach 0.83, travelers will arrive at their destinations faster than ever before. The Challenger 350 is powered by two Honeywell engines providing increased thrust, ultimate fuel efficiency, and minimal emissions. 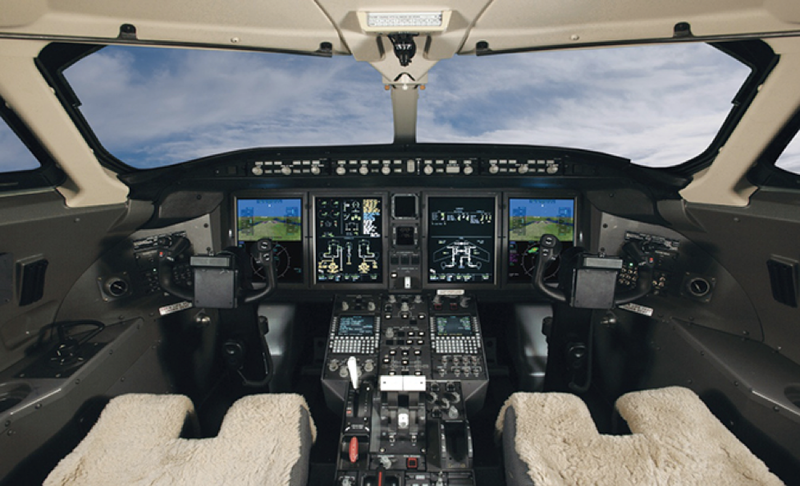 Within the avionics suite, Rockwell Collins Pro Line 21 give pilots four LCD screens to display all necessary information. Synthetic vision, MultiScan weather radar, and industry leading connectivity help reduce workload for pilots. 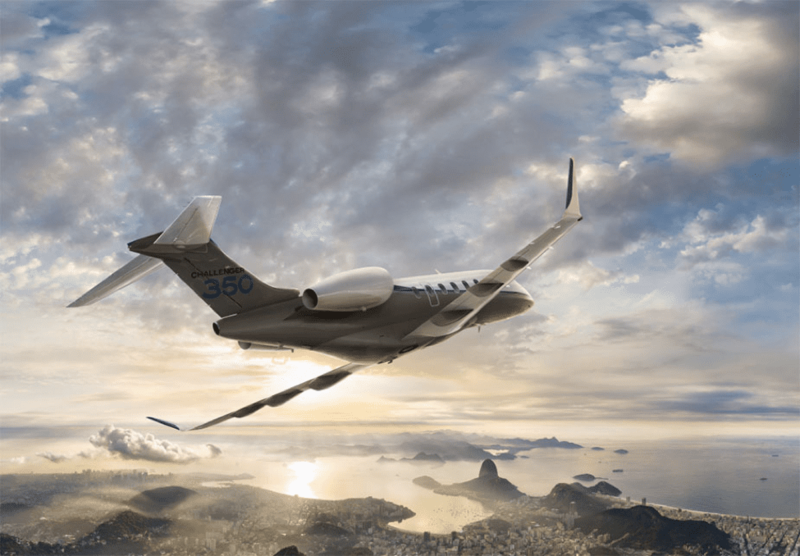 Helping to define the super midsize category, Bombardier’s Challenger 350 is one of the most successful business jets on the market. It is priced at about $23 million.